In spite of all notions to the contrary, travelling by boat is merely glorified camping on the water. You should be committed to a certain proximity to nature, and all too often that entails living closely to the natural state, i.e. limited sanitary facilities, exposure to the elements, and so forth. If you are obsessed with personal hygiene you will not enjoy any form of camping! There are too many contingencies for boats to follow any sort of fixed itinerary or schedule. Sailing boats are very slow, things break and need fixing, weather and wind dictate our movements and the comfort or discomfort we might experience on board. This represents a radical departure from the dominion over natural circumstances that is considered to be the hallmark of what we like to refer to as civilisation. Cruising will also never be a free or cheap holiday or way to travel; if you want to have an affordable holiday in the sun, package holidays, backpacking trips, or even cruise ship holidays will often be more affordable. Bear in mind that you will be participating in my lifestyle. I love exploring places, getting to know the locals, and the pace of the journey is determined by that – I like to travel very slowly and thoroughly. If you want to do lots of sailing, I suggest you join the local dingy racing club. Living in close proximity and experiencing adventures with others often results in strong emotions and great friendship. 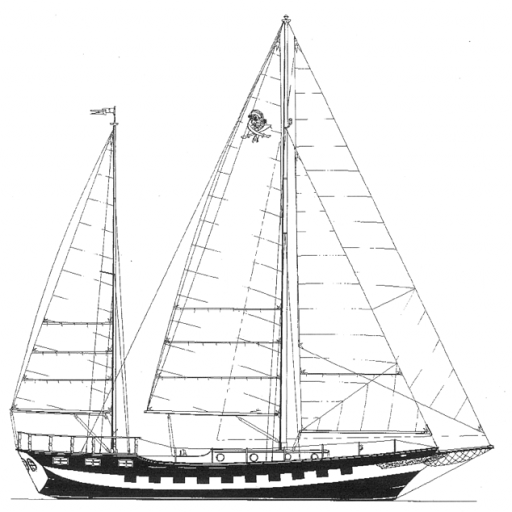 It is however important to consider that the special situation aboard, with a number of people on a small leisure boat, travelling in an essentially hostile environment, requires an unusual degree of social skills in the form of mutual consideration and tolerance, and the ability to discuss and resolve differences and problems openly. Owing to their inhospitable nature, the world’s oceans are the last true wilderness on this planet. By boat, we get to experience this awe-inspiring landscape, where no two moods are ever the same, and we have the ability to travel to places most visitors do not get to see, where the travel industry has perhaps not even arrived. We get to experience wild animals – mostly eradicated on land – and pristine underwater landscapes. For you (and by implication everybody else on board) to derive pleasure from your participation in our journey, it is important that you have some understanding of and even dedication to the lifestyle involved. On the water, no two situations are ever the same; living in this environment requires an ongoing process of learning and adaptation for all involved. 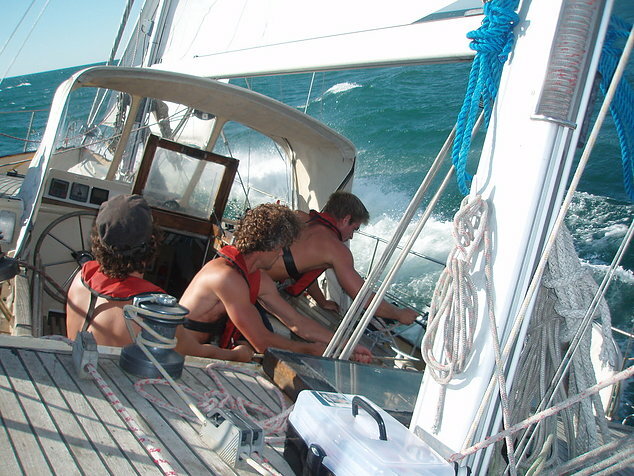 If you do not know much about sailing, you will be facing a steep learning curve. You are encouraged to read the literature available on board, and I will do my best to teach you. You will be required to perform your fair share in all aspects of living aboard (from cooking, setting the table, down to cleaning and tidying up the boat). You are expected to treat the boat, its gear, and the space you will be occupying or sharing respectfully. It is our common goal to keep the boat moving, so if you retreat and just hang on you’re prolonging the boring part of necessary work for others. You should actively seek to contribute to the ongoing work and maintenance tasks. This is also a great way of learning new things. When sailing on overnight passages you will be assigned a watch. A watch is a certain period of time during which you will have to steer the boat and keep a lookout for other boats or other possible random dangers. Regardless of whether you are seasick, scared of the dark, or tired, you cannot be excused from this duty, since other people cannot be expected to do double watches to cover for you. If you are still learning, you will be accompanied by a more experienced crew member or myself on your watch, until you are ready. You will not be required to take important decisions – if there is any doubt, I am available at any time, and you are strongly encouraged to seek advice. Once you have read, understood, and digested the above information, proceed to the page further remarks. If you have any questions regarding any of the above, please do not hesitate to contact me.